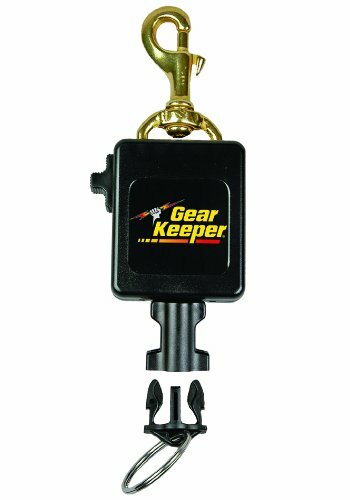 T-REIGN line of retractable scuba gear tethers will ensure your most important scuba gear is secure and ready when you're diving. 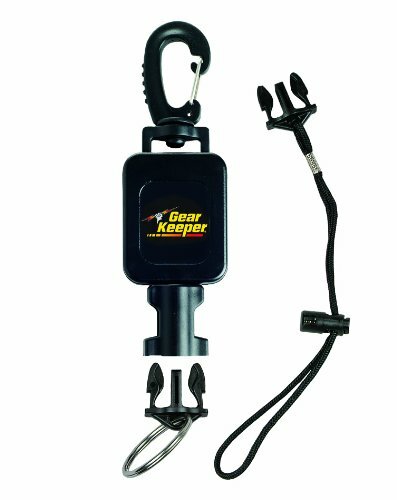 Our scuba gear tethers have a durable and waterproof polycarbonate case, a smooth Kevlar cord for extension, and a universal gear attachment that easily secure anything you'd need to quickly access on the course such as gauges, flashlights, knives and more. Choose between a metal carabiner or a Velcro strap to quickly and easily secure your gear. 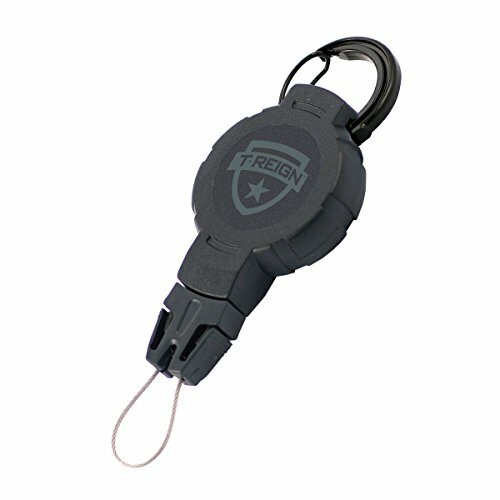 With T-REIGN retractable scuba gear tethers your scuba gear will always be handy and will never be lost. The smartest way to make sure your console is always in the same place and easily accessible when you need it. Always close at hand and never dragging on the reef. Grab you Console, Use it, Let it go. it snaps back to the diver, in the same place, everytime. The added Q/C-II Lanyard provides a secondary attachment option. 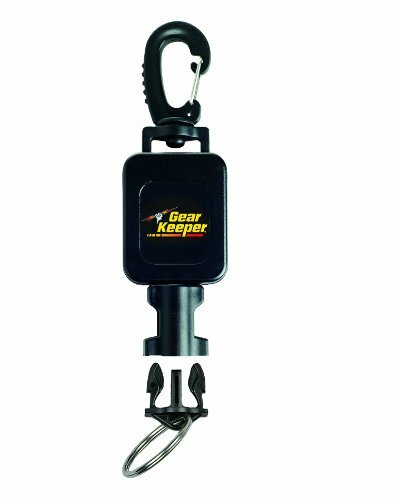 Compact model designed for attachment in chest area with sufficient extension for console and compass use. Patented self-flushing system removes sand/salt/debris when operated, and also allows for fresh water rinsing for extended life. Made in USA. The best way to tether small flashlights for easy use and access, while preventing loss. Strong enough to hold a 4-AA flashlight on the surface, yet easy pull for extending underwater without fatigue. Flashlights are secured to the diver and always in the same place, easy to use. Does not restrict the use of your arms or create entanglement issues like a wrist or coil lanyard. Patented self-flushing system removes sand/salt/debris when operated, and also allows for fresh water rinsing for extended life. Made in USA. 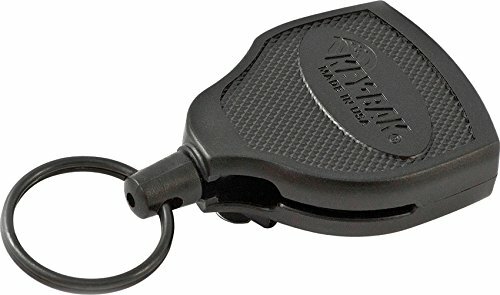 Every detail of the SUPER48 Heavy Duty Retractable Keychain was built for rugged use and hard work. 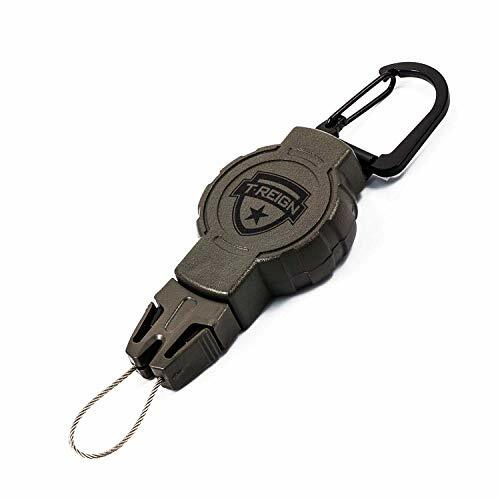 The extra durable black polycarbonate case is impact resistant, and the tough Kevlar cord has been tested to over one million pulls, to outlast any other heavy duty retractable keychains on the market. 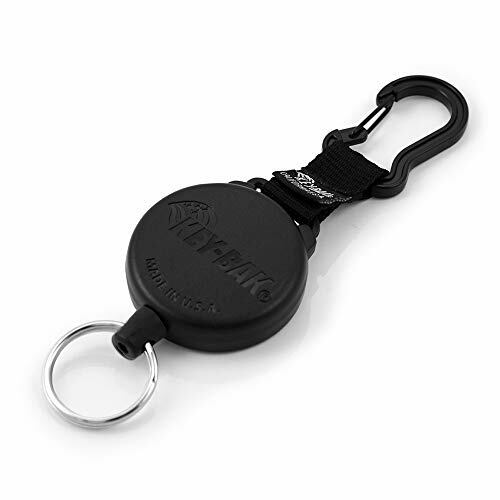 The patented locking mechanism on the SUPER48 Heavy Duty Retractable Keychain will ensure your keys, tools, and other items stay right at your hip without dropping to the ground. 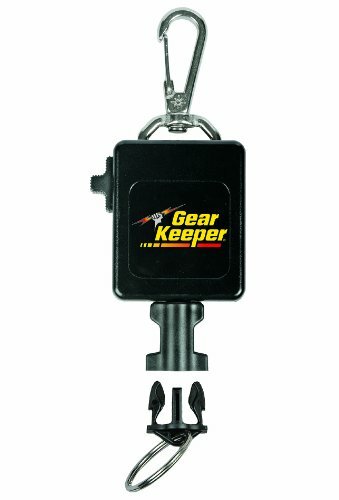 The best way to tether flashlights and cameras for easy use and access, while preventing loss. Even for the heaviest flashlights, that gain buoyancy underwater, LOCK the unit on land to secure the light/camera. When in the water, UNLOCK for easy, low resistance non-fatigue use of light/camera, yet force is efficient to retract and hold flashlight/camera close to the body. Flashlights are secured to the body and always in the same place, easy to use. Does not restrict the use of your arms or create entanglement issues like a wrist or coil lanyard. Patented self-flushing system removes sand/salt/debris when operated, and also allows for fresh water rinsing for extended life. Made in USA. Shopping Results for "Gear Retractor"